William Bailey submitted this photo and caption. 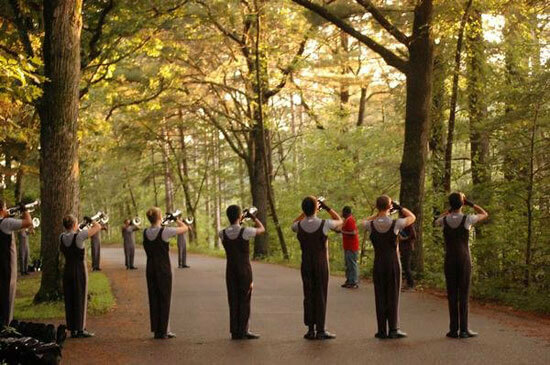 This photo of the Revolution horn line warming up was taken in 2009 as we were running through the "Earth" theme in our show "ElementALL." Many people would be hiking along, and stop to enjoy the music with the beauty that surrounded us.